Former Defense Minister Moshe Ya'alon says Attorney General did not investigate Netanyahu carefully enough over Submarine Affair. "I am addressing you following the conclusion of the investigation by the Israel Police of Section 3000 and the submission of its recommendations to the State Attorney's Office," Ya'alon wrote. "I have no doubt that this is the most serious corruption case in the history of the State of Israel. Ostensibly, the prime minister's people preferred to make money over the good of the state, and that is how this case should be treated." He later criticized Mandelblit. "The manner in which the interrogation was conducted raises serious questions of deliberate attempt not to expose the entire truth in this affair, which deals with the sanctity of national security." "I turn to you as a person who served as defense minister during the relevant period, who knows the sequence of events, and who realized that some of the moves were deliberately carried out behind the back of the defense establishment. I appeal to you because during the investigation of the submarine acquisition ... many questions arose that gave me no rest, questions related to the conduct of the investigation that was led by you," Ya'alon added. In his letter, he also warned that "the investigation may not have led to findings that go beyond the criminal threshold for the prime minister, and I was not convinced that there was such an effort." 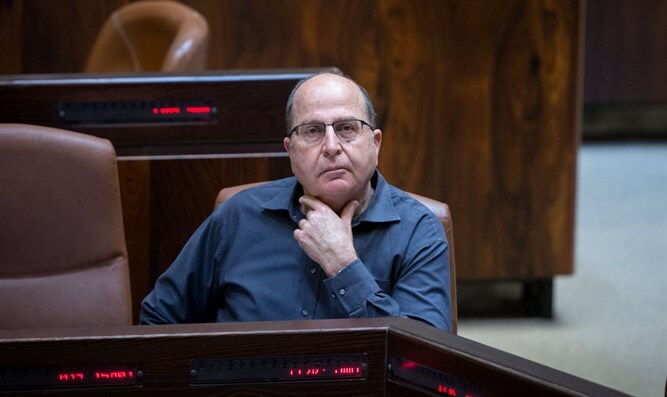 Ya'alon raises a series of questions and concludes: "I am not a supporter of state commissions of inquiry, unless the responsible party does not take responsibility and resign, or the system does not make him responsible."